Why Blue Rose? Why Now? 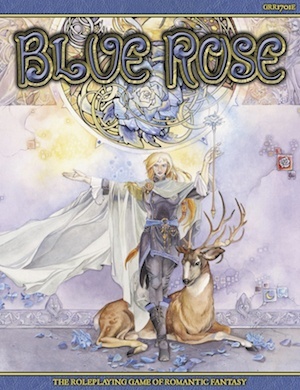 Ten years ago we published Blue Rose, the roleplaying game of Romantic Fantasy. The idea was pretty simple. While Dungeons & Dragons and many subsequent fantasy RPGs drew inspiration from authors like J.R.R. Tolkien, Robert E. Howard, Michael Moorcock, and Fritz Leiber, a different sort of fantasy fiction began to develop in the 80s—what we call Romantic Fantasy—and there wasn’t a game built off its common themes and tropes. We thought there were a lot of fans who’d want an RPG inspired by writers like Tamora Pierce, Mercedes Lackey, and Jacqueline Carey. And we were right. The game was conceived and published as a three book series, with a core rulebook, a world book, and a rules companion. Blue Rose was quite successful and for many years people have asked us if we were ever going to revisit it. The short answer is yes! 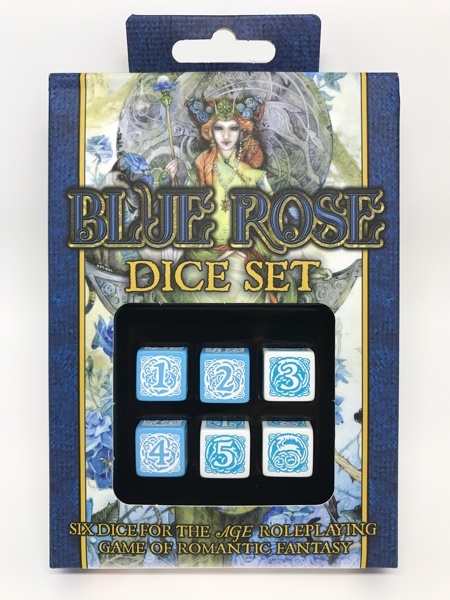 Thanks to the generous support of our backers on Kickstarter, right now we are putting the finishing touches on a new edition of Blue Rose powered by the Adventure Game Engine, the rules I designed for our Dragon Age RPG. This is something we’ve been talking about for several years. The topic has come up at our yearly summit for the past two or three years. We all agreed we’d like to do it, but when and how were the questions that needed to be answered. So why now? The biggest reason is that a lot of the issues we tried to tackle in Blue Rose have come to the fore in the public debate, in society generally and in nerdom. Diversity and inclusivity are now common topics of conversation, which was not at all the case in 2005. The idea that gay marriage would be legal in so many states in ten years certainly would have been a surprise to me back then. With the progress that we’ve seen in our politics and our art, a roleplaying game that lets you defend an egalitarian society without fixed gender roles seems like just the thing for the current day. Of course, progress never comes easy. The simple idea that women should get equal pay for equal work—not to mention the opportunity to work in the fields of their choice—is crazed radicalism in the eyes of some. And while the Supreme Court may have declared that racism is over in the USA, anyone with an ounce of awareness can see that is manifestly not the case. That many of these issues are contentious is no surprise to us. Blue Rose itself was subject to a reactionary backlash from certain quarters. This sort of thing has just gotten worse, particularly in the video game arena, and politics in America has also taken an ugly turn. So while, yes, we have seen a lot of social progress, there is still a lot of work to do. Now playing games is not going to change the world. That is down to grassroots organizing, voting, and political action. There is a saying though, that all politics is local and our neighborhood is tabletop gaming. We want this to be a better place and we think we can have some effect on it by publishing the right roleplaying game. We want there to be a welcoming place for women, LBGTQ folks, and people of color to enter the hobby. We want to promote the idea that roleplaying games are for everyone, that our hobby—our fun, creative hobby—is something that can bring us together rather than tear us apart. 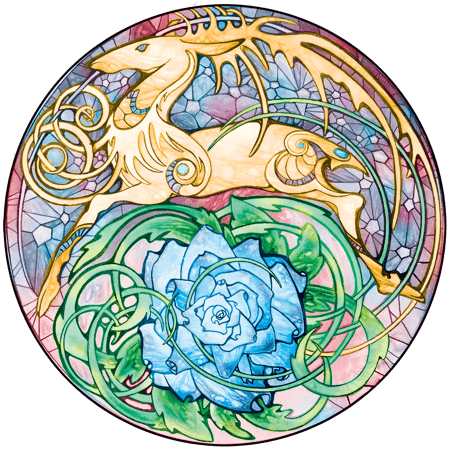 So why now and why Blue Rose? That’s why. This has turned into more a political statement than I had intended when I sat down to write. Rest assured that our goal here is to make a fun and playable game and we’ll tell you more about that in the coming weeks. For starters, I just wanted to let you all know about our plans and give you some insight into why we think this is the right time for the return of Blue Rose.